This was dominated by two events. First up the best mid-week race series in the UK… if not the World… The Yateley 10k series and then at the weekend the Festival of Festivals for runners… Endure24. We’ll start with the Yateley 10k where sixty-five members lined up at Yateley School and covered the ‘undulating’ course out past the airport, down the hill to The Cricketers, back through the village, along Reading Road before looping back and ascending the dreaded Waitrose Hill! Fantastic performances throughout and special kudos to those who completed the 5-10k course and really challenged themselves stepping up the distance. We’ve got the full SJ results package below (hopefully capturing everybody, although I might have missed as not all runners had the club linked). Also a massive ‘Thank You’ to all the members who volunteered and helped on the night in a variety of tasks. The event couldn’t go ahead without you. Here’s a selection of pictures from the evening. Onto the weekend and no Parkrun held at Frimley Lodge this week so members mostly spread across Bracknell and Rushmoor who attracted 349 and 632 runners respectively. At Great Hollands Rec for Parkrun Bracknell, Matt Jones was first of the eight SJs to finish while Martin Steadman helped his daughter to a PB in her second parkrun. Thirteen SJs joined the masses at Parkrun Rushmoor with Andrew Brookes first member to finish, he remembered on the startline that the dog groomer was due at 10am so had plenty of incentive to finish quickly! Jim Laidlaw was only five seconds off his best time on the course. KJ Kajla ran for the first time at Rushmoor while Gareth Hopkins recorded a course PB in his second run at the venue. Not so much Parkrun Tourism this weekend with Endure24 happening over the weekend but a few members still managed to squeeze in a Saturday morning 5k. 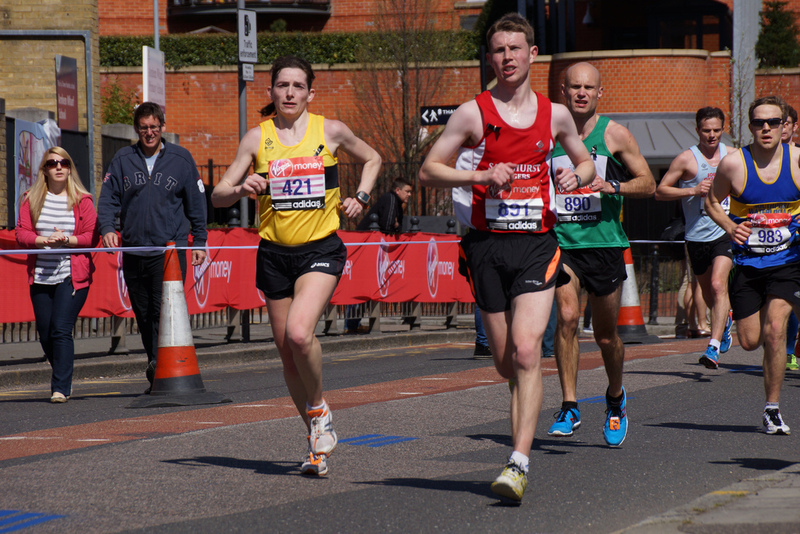 Starting with the regulars; Andy Summerskill ran at Houghton Hall and Sharon Conquer at Northampton. On the local scene Clive Rolfe tackled the hills at Alice Holt while Simon Whillis survived Achilles Hill at Homewood. Further afield George Green traveled to Hereford and Andrew Parkes to Leamington. And onto Wasing Park near Aldermaston for Endure24. The concept is simple is a little daunting! The event starts at 12 Noon on Saturday and the challenge is to run as many laps of a five mile off road course as you (and only you if you are running solo) and your teammates can (or want to) before 12 Noon on Sunday when they sound the horn and everyone must complete the lap they are on. The course was entirely off road on mainly well surfaced gravel tracks but there were three hills to contend with; The ‘Hill of No Return’, the one with the marshal dressed at a penguin and the infamous ‘Heartbreak Hill’ which fuelled mush discussion the best approach – to walk or to run, that is the question? The lap wrapped up with some tricky rooty trails a sharp drop and some twists and turns near the finish. Onto the action an the SJ Women’s team were back to defend their title and ‘Run Like Girls’. It was a close run race with an average of only 8 seconds per lap covering the top 3 teams and they finished in the bronze medal position ensuring all members of the got to run as many laps as possible. The ace squad comprised Nikki Stanley, Sarah Hyatt, Lisa Hale, Katie Herrington, Heidi Zymela, Sharon Burfield, Sophie Le Saux and Gemma Potter. The Men’s 8 also had great runs completing 39 laps for 7th position in the ‘Big teams’ category. Led by Captain Graham Robinson the team comprised Dave Ayling, Stuart Overhill, Chris Lambourne, Mark Fallowfield-Smith, Dave Breslin, Ian Watson and Erol Ali. The Mixed 8 (sounds like a rowing team) also had strong runs, completing and balanced that with lots of laughs, some prosecco and some sleep en route to completing 30 laps. Kudos to John Tovell, Nigel Evans, Blanche Barnes, Carl Bradshaw, Caroline Cutliffe, Jim Casey, Hannah Glaister and Jamie Potter. Next the smaller team of up to 5 runners, although our two teams wanted to get more running done so opted to only run with teams of four! The SJ Heroes lined up with Wayne Boardman, Patrick Wadsworth, Jane Bannister and guest SJ Baggie. They also completed an impressive 30 laps running the furthest that some of the team had ever run! Close rivals the SJ Legends adopted a double lap strategy overnight which meant they all got more sleep (and are probably functioning better for it right now!) but dropped a few laps on their rivals The Heroes to finish with 27 laps. Still a hugely impressive total for Charlie St Aubyn, Kate Parker, Andrea Hadfield and Will Lucas. The were many other SJs in action at Endure24, moonlighting for other teams such as The Frimley Flyers and the Three Counties Triathlon Club which made for a hugely sociable weekend. And finally onto the Soloists. Those with legs of steel and wills of iron to keep plugging away during day and night to rack up huge lap counts and massive distances to boot. Huge congratulations on incredibly determined performances. Richard Boese kept spirits high and legs moving to complete a massive 15 laps or 75 miles! In the Women’s event Lina Johnson completed an incredible 18 laps or 90 miles to take 3rd place. Incredible!!! Wednesday: It’s the second Wednesday of the month so time for the Handicap. It will be the sixth opportunity of 2018 to improve on your previous times. This four mile run over a two lap course around Crowthorne is ideal for all abilities and starts from the Morgan Rec in Crowthorne at 7:30pm. Don’t forget the post run curry at The Raj in Sandhurst. Also on Wednesday, a new 5k to 10k course will be starting this week from Sandhurst Memorial Park at 7pm. Its also the second Woodland 5 tonight organised by Finch Coasters on a hilly course in Crowthorne Woods.